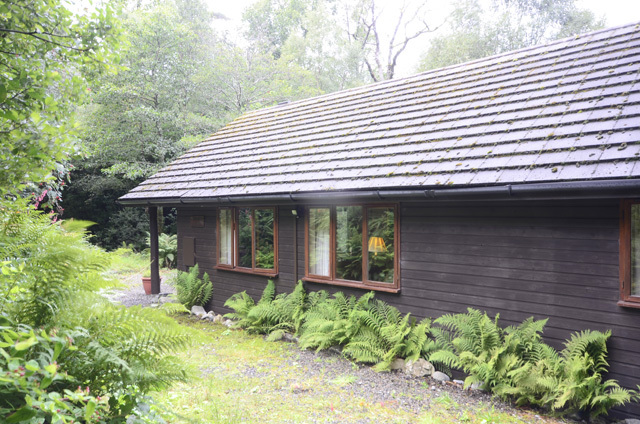 Rowan Lodge is located in a quiet woodland position just a short walk to the shores of Loch Ailort. This area of Moidart is known as the “Pearl of the West” and offers stunning scenery and an abundance of wildlife. 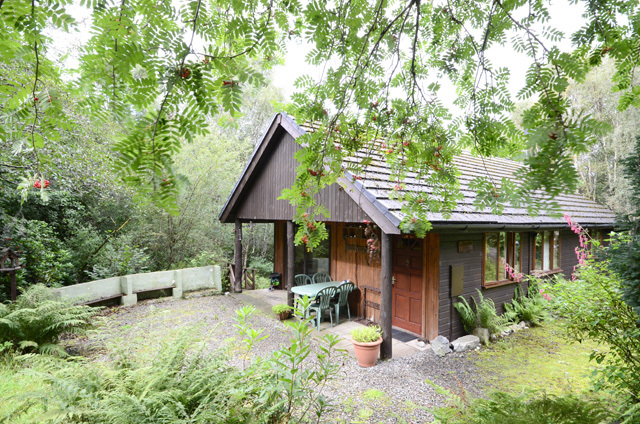 The property would make a perfect base for those wanting to explore this area further, or just as a retreat for a true Wilderness Cottage holiday. 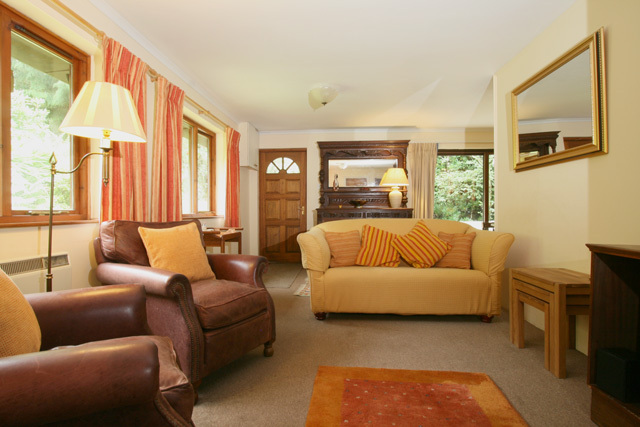 The accommodation at the lodge is all on the one level, entering the property takes you directly into the sitting room with its dining area; this room is bright and spacious and enjoys views to the surrounding woodland. 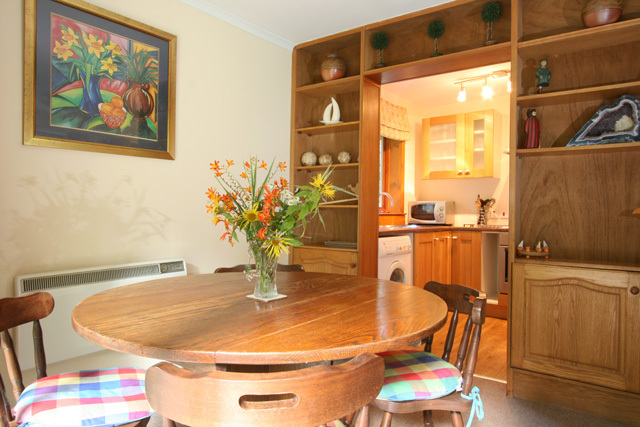 The kitchen is situated beside the dining area, and is equipped with all the usual appliances and equipment. 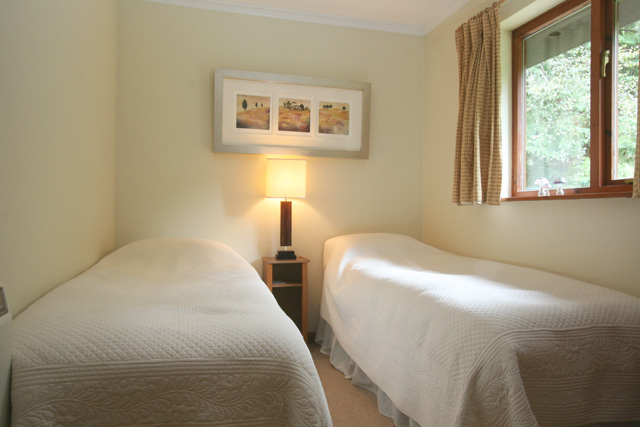 At the other end the bedrooms, a double and a twin can be found. A bathroom completes the facilities. Outside the property has a small area of garden complete with some furniture. The area offers much choice for the visitor by way of attractions and days out. Glenfinnan which sits at the head of Loch Shiel is located just fifteen miles away, and the National Trust for Scotland has a Visitor Centre here. The centre has an audio visual display which chronicles the history of the 1745 Jacobite uprising, and visitors are able to climb to the top of the well known Glenfinnan Monument. From the visitor centre a viewpoint allows you to see the iconic railway viaduct, which has featured in many films including Harry Potter. For a truly memorable day out why not take the Jacobite Steam Train from Fort William to Mallaig. The route has been described as one of most spectacular railway journeys of the world and the scenery en-route is awe inspiring. Loch Shiel itself stretches twenty miles south west to Acharacle, and is one of Scotland’s largest inland lochs. Boat trips are available, a particular popular choice being the Loch Shiel Eagle-Watch Cruise. Other attractions in the area include the Glenfinnan Station Museum and the Carriage Diner, which has been converted from an original 1950’s railway carriage. Travelling west take the “Road to the Isles” and discover the pretty village of Arisaig and the thriving fishing port of Mallaig. The port is the base for Cal Mac ferries, which operate from the mainland across to the Isle of Skye, and the smaller islands of Muck, Eigg, Rum and Canna. The area is also home to the Mallaig Heritage Centre, and offers a good range of cafes, restaurants and shops, and as it is a fishing port why not visit the harbour and purchase some of the local catch at Andy Race’s Fish Merchant shop. Sitting room with comfortable sofa, armchairs, Sky TV, DVD Player, CD Player, iPod dock. Dining area with table and seating for four. Kitchen with electric oven and hob, microwave, fridge/freezer, washing machine/dryer. Bathroom with bath, shower over, wc, whb, heated towel rail. Electricity and heating costs is charged at the property, this is paid via a coin meter which accepts £2 coins. Small garden area with furniture. Selection of DVD's and reading material. Pets Welcome - Two pets are welcome at the property, however the garden is not enclosed. Water supply - The property has a private water supply, the water is filtered and treated with UV filters. You may wish to boil the water or drink bottled water. Guests with Young Children - The situation of the property makes it unsuitable for guests with children under five years old. Quiet location just a short walk to Loch Ailort. Good base for exploring the area. 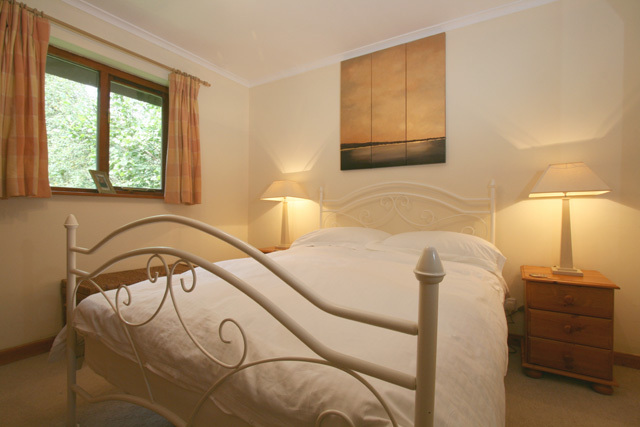 Ideal woodland setting for nature and wildlife lovers. Great stay of 6 nights in a very quiet place. Lot of things to do in the area in the nature (beach near the hut, walks, Tioram Castle, sea trip in Mallaig, steam train). We saw the pine marten each evening, a fox one evening and deers in the garden one morning! Think of 2 pounds coins to pay electricity, 2 pounds per day for us with use of washing and drying machine each day (camping before and after our stay). Perfect hideaway in a beautiful part of Scotland. Quiet, peaceful, a short walk to the beach. A visit from the Pine Martin every night was a delight too. 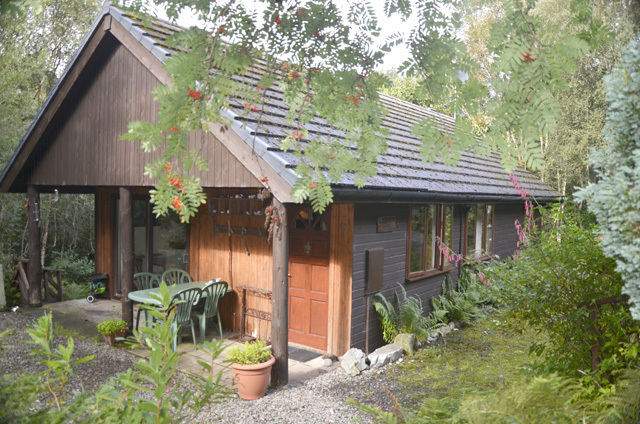 The Lodge had everything we needed, comfy beds, cozy living area and a dinning room where you can watch the pine martin every night. He really likes Peanut Butter sandwiches. The cottage itself is just lovely. It is, however, not a WILDERNESS cottage as there are several other houses very close to it. The other buildings are fortunately hidden by the dense woodland, so there is at least the illusion of being far from civilisation. The extensive fencing makes it impossible to just wander around freely. The wider region is wonderful for hiking, kayaking and relaxing. Electricity is charged completely via a coin-meter, so there are extra costs to be taken into account.